The Seahawks defense has been incredibly impressive over the final six weeks of the season, with opponents averaging fewer than seven points. Over the past three years, Seattle’s defense has been the top defense in terms of points allowed. That hasn’t been done since the 1969-71 Vikings. The guys talk about the historic achievement. Danny Kelly, editor-in-chief and lead writer at FieldGulls.com, comes on the show to about how this year’s team might be better than the one that one the Super Bowl last year. 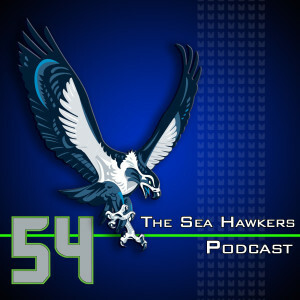 They talk about the team in the playoffs that poses the biggest problem for the Seahawks and chat about Seattle’s rookie receivers Paul Richardson and Kevin Norwood.